How can you say I am small? We just live in an endless universe. The essence lies in things condensed and reduced in size. Short people are very cute. Small people also have great power to change the world. Be positive and happiness will come to you. Though short people are not so conspicuous, they play an important role. This is a general trend. Add some humour to the situation. Physical parameters are not so crucial. In some areas, short people do better than those who are tall and strong. When your beloved one is pint-sized. Short people are just concentrated intelligence. Height is nothing when it comes to courage and mind. A good and positive statement. Never underestimate a short girl. Some people dream to be short. 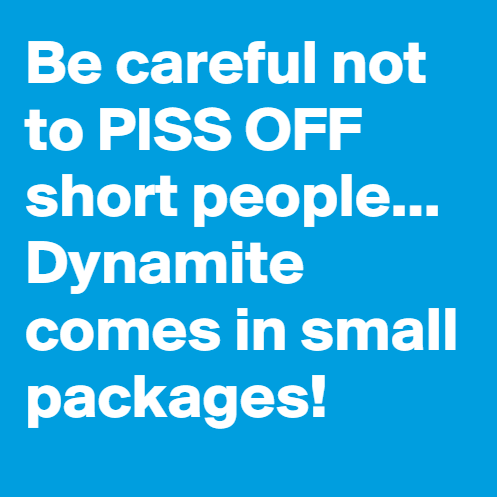 One of these short people quotes just tells you a simple truth. 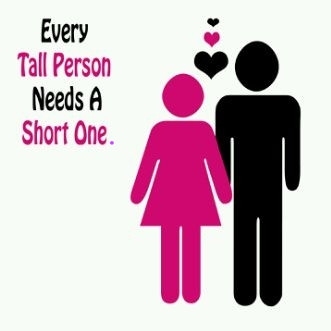 Short people deserve your love.